Cameron had arrived in Springfield to visit the President on December 30. Once word leaked out that he had been offered a Cabinet position, Mr. Lincoln was swamped by opposition and he tried to reverse his decision. On January 3, 1861, President-elect Lincoln wrote Cameron: “Since seeing you things have developed which make it impossible for me to take you into the cabinet. You will say this comes of an interview with McClure; and this is partly, but not wholly, true. The more potent matter is wholly outside of Pennsylvania, and yet I am not at liberty to specify it.” Cameron declined to take the bait – despite Mr. Lincoln’s request that he submit his declination. Cameron simply redoubled the efforts of his allies to counteract the Curtain and Chase forces. And eventually, when Mr. Lincoln arrived in Washington, he duly appointed Cameron to the War Department – reserving the Treasury Department for Salmon P. Chase. The burdens which the Civil War imposed on Cameron proved beyond his capacity to cope. He had to battle a three-front war: problems in recruiting and supplying troops; allegations of corruption by suppliers and Union incompetence in the field. By the end of 1861, it was evident that he needed to be replaced. 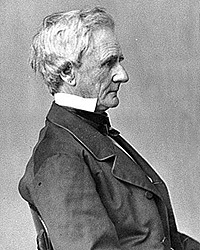 Historian Burton J. Hendrick wrote that “The one way of saving his official head, as Cameron diagnosed the situation, was to make himself so acceptable to Sumner, Ben Wade, Chandler and others – for the most part, the Chase following that they would insist on his retention in the cabinet. In accordance with this strategy, Cameron in the latter part of the year, played his final card. His report for the year 1861, to be submitted to Congress on December 1, contained a passage recommending again that creation of a slave army to which Lincoln, at this stage of proceedings had shown himself so inexorably opposed.”8 This created a crisis when President Lincoln read the passage and found out that copies of Cameron’s report were already in the mail and that one copy had made its way into the New York Tribune. “I have the honor to acknowledge your favor of this date, and to thank you, with profound respect, for its kind and generous tone. When you were elected President a result of which I contributed my best exertions. I had no thought of leaving the Senate of the U.S. or of accepting any position in your gift. But when you invited me to Springfield, Ill., and presented me the choice of two named places in the list of your constitutional advisers, I could not, for grave public reasons, and after great reflection, refuse a trust so trying and laborious. My life has been one of constant labor and excitement. 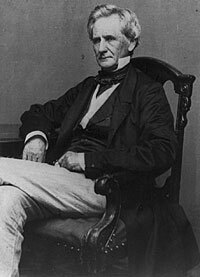 I looked to the Senate as the best field after such a life, in which to serve my country and my State. It was only when I realized that I might be of service to the general cause in the darkly foreshadowed, future, that I ventured to undertake the manifold and various responsibilities of the War Dept. I felt when I saw the traitors leaving their seats in Congress and when I saw the traitors leaving their seats in Congress and when the Star of the West was fired upon in Charleston Harbor, that a bloody conflict was inevitable. I have devoted myself without intermission to my official duties. I have given to them all my energies, I have done my best. It is impossible, in the direction of operations so extensive, but that some mistakes happen and some complications and complaints arise. In view of these recollections, I thank you from a full heart for the expression of your confidence in my ability, patriotism, and fidelity to public trust. Thus, my own conscientious sense of doing my duty to the Executive and by my country is approved by the acknowledged head of the government itself. When I became a member of your administration I avowed my purpose to retire from the Cabinet, as soon as my duty to my country would allow me to do so. In your letter of this day’s date, so illustrative of your just and upright character, you revive the fact that sometime ago I expressed the same purpose to you; and, in reminding me of this you profer for my acceptance one of the highest diplomatic positions in your gift; and additional mark of your confidence and esteem. Though I have said nothing hitherto in response to your wish, expressed long since, to resign your seat in the Cabinet, I have not been unmindful of it. I have been only unwilling to consent to a change at a time, and under circumstances which might give occasion to misconstruction, and unable till now, to see how such misconstruction could be avoided. 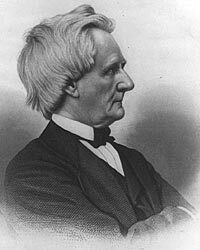 But the desire of Mr Clay to return home, and to offer his services to his country in the field enables me now to gratify your wish, and at the same time evince my personal regard for you, and my confidence in your ability, patriotism, and fidelity to public trust. Cameron did not rush to Russia. He had no desire to experience Moscow in winter and never did. He waited until May to leave and came back in November 1862. He used the delay in his departure for his diplomatic post to defend himself against critics of his handling of the War Department. President Lincoln himself defended Cameron when he came under criticism by the House of Representatives, writing a special message to Congress on May 26, 1862. Cameron had scarcely arrived in Russia before he wrote President Lincoln, requesting to return: “I should like to leave here by the middle of September, as then the lease of the house which I took from Mr. Clay to relieve him, will expire. The rent is a heavy item in the expenditures of a Minister, being over $3000 & more than one fourth of his yearly pay. Going at that time too, will enable me to reach home in time before the Pennsa. election to be of some service to my country, for I think your troubles will soon be removed from the Army to Congress. I shall make this application to the State Department officially – but I ask it now, from your friendship.” Cameron added some flattery: “I have been gratified all over Europe to find the high reputation you are making, and from home, too, there are indications of a growing belief that you will have to be your own successor. While it is, in my judgment, the last place to find happiness, I think you will have to make up your mind to endure it.”17 He didn’t make it back in time for the elections – arriving in November 1862. But when Cameron dithered about whether he intended to return to Russia, President Lincoln pushed for a decision and Cameron finally resigned in February 1863 – freeing Cassius M. Clay to return to the post he had held before Cameron. Cameron’s involvement with Butler was not finished. 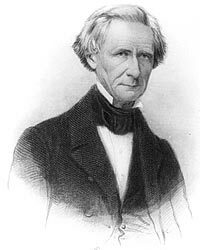 In late March 1864, contended Cameron biographer Erwin Stanley Bradley, President Lincoln delegated Cameron to sound Butler on a vice presidential nomination prior to President Lincoln himself paying a visit to Butler. “Cameron’s mission to visit Butler at Fortress Monroe was assigned February 24, but he and his companion, William H. Armstrong did not go until a month later. Jokingly, the ‘beast of New Orleans’ agreed to accept the honor only on condition of being assured of Lincoln’s death or resignation soon after his inauguration.” On March 29, Cameron wrote the President: “I come from Ft. Monroe yesterday after spending three days there, during which time, I had much pleasant conversation with Gnl. Butler – part of which I would like to communicate to you.”19 When Cameron made his report to the President in early April, the information he relayed apparently convinced Mr. Lincoln not to visit Butler. Cameron used his presidential connections to build his patronage base in Pennsylvania. It was not easy given the many competing influences and feuds in the state. One feud was with Congressman William D. Kelly, who also had strong connections with Philadelphia Press editor John W. Forney, another regular visitor to the White House. Cameron was incensed when he tried to get the House of Representatives to reverse its criticism of his handling of the War Department. “His close friend Cornelius Walborn, postmaster of Philadelphia, approached Congressman Kelly on the subject of using his influence on Cameron’s behalf,” wrote biographer Bradley. “Newspaper patter had it that Kelly replied: ‘To stir foul matter would be to produce a stench.” Cameron had a strong relationship with Postmaster General Montgomery Blair so it was not surprising when Post Office employees were mobilized to defeat Kelley. 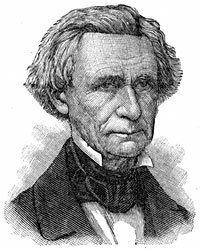 Cameron could easily have had another grudge against “Judge Kelly”; he was one of two Republican rivals to Cameron in the 1863 Senate election in the Pennsylvania State Legislature. Republican disunity helped election a Democrat to the Senate. Although there is not much evidence of Mrs. Lincoln’s attitude toward Cameron while her husband was alive, she warmed toward him after her husband’s death, writing” Gen Cameron, is proving himself a true friend, he is not unforgetful, as so many others, have been, of the kindness, of my beloved husband.”32 Cameron had served in the Senate from 1845 to 1849 and 1857 to 1861. 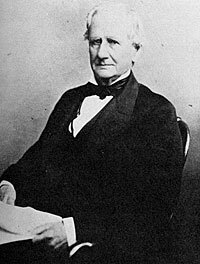 He returned to Senate from 1867 until 1877 when he turned his seat over to his son. David Herbert Donald, Lincoln, p. 266. John Waugh, Reelecting Lincoln, p. 162. Abraham Lincoln Papers at the Library of Congress. Transcribed and Annotated by the Lincoln Studies Center, Knox College. Galesburg, Illinois. (Letter from Joseph Medill to Abraham Lincoln, December 18, 1860). Burton J. Hendrick, Lincoln’s War Cabinet, p. 51. Rufus Rockwell Wilson, editor, Intimate Memories of Lincoln, p. 344 (Thurlow Weed). James G. Randall, Lincoln the President, Springfield to Gettysburg, Volume I, p. 267. Harry J. Carman and Reinhard Luthin, Lincoln Forms His Cabinet, p. 28. Burton J. Hendrick, Lincoln’s War Cabinet, p. 230. Francis B. Carpenter, The Inner Life of Abraham Lincoln: Six Months at the White House, p. 136. Allan Nevins, The War for the Union: The Improvised War, 1861-1862, p. 398-399. Francis B. Carpenter, The Inner Life of Abraham Lincoln: Six Months at the White House, p. 138. Michael Burlingame, editor, An Oral History of Abraham Lincoln, John G. Nicolay’s Interviews and Essays, p. 44 (Conversation with Simon Cameron, February 20, 1875). Allan Nevins, The War for the Union: The Improvised War, 1861-1862, Volume II, p. 409. 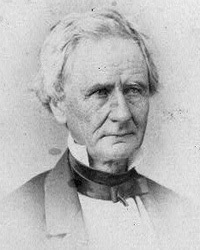 Edwin Stanley Bradley, Simon Cameron, Lincoln’s Secretary of War, p. 207-208 (from Cameron MSS, Library of Congress). Abraham Lincoln Papers at the Library of Congress. Transcribed and Annotated by the Lincoln Studies Center, Knox College. Galesburg, Illinois. (Letter from Abraham Lincoln to Simon Cameron, January 11, 1862). Abraham Lincoln Papers at the Library of Congress. Transcribed and Annotated by the Lincoln Studies Center, Knox College. Galesburg, Illinois. (Letter from Simon Cameron to Abraham Lincoln, June 26, 1862). 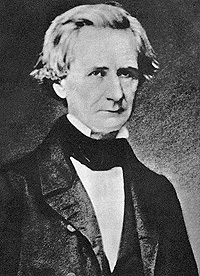 Erwin Stanley Bradley, Simon Cameron: Lincoln’s Secretary of War, p. 236-237. Abraham Lincoln Papers at the Library of Congress. Transcribed and Annotated by the Lincoln Studies Center, Knox College. Galesburg, Illinois. (Letter from Simon Cameron to Abraham Lincoln, March 29, 1864). Abraham Lincoln Papers at the Library of Congress. Transcribed and Annotated by the Lincoln Studies Center, Knox College. Galesburg, Illinois. (Letter from Simon Cameron to Abraham Lincoln, September 18, 1863). Abraham Lincoln Papers at the Library of Congress. Transcribed and Annotated by the Lincoln Studies Center, Knox College. Galesburg, Illinois. (Letter from Simon Cameron to Abraham Lincoln, March 9, 1864). Abraham Lincoln Papers at the Library of Congress. Transcribed and Annotated by the Lincoln Studies Center, Knox College. Galesburg, Illinois. (Letter from Simon Cameron to Abraham Lincoln, April 7, 1864). Abraham Lincoln Papers at the Library of Congress. Transcribed and Annotated by the Lincoln Studies Center, Knox College. Galesburg, Illinois. (Letter from Simon Cameron to Abraham Lincoln, September 6, 1864). Abraham Lincoln Papers at the Library of Congress. Transcribed and Annotated by the Lincoln Studies Center, Knox College. Galesburg, Illinois. (Letter from Simon Cameron to Abraham Lincoln, September 11, 1864). Abraham Lincoln Papers at the Library of Congress. Transcribed and Annotated by the Lincoln Studies Center, Knox College. Galesburg, Illinois. (Letter from Simon Cameron to Abraham Lincoln, October 18, 1864). Erwin Stanley Bradley, Simon Cameron: Lincoln’s Secretary of War, p. 245. David Homer Bates, Lincoln in the Telegraph Office, p. 277. Justin G. Turner and Linda Levitt Turner, editor, Mary Todd Lincoln: Her Life and Letters, p. 360 (Letter from Mary Todd Lincoln to David Davis, May 4, 1866). Abraham Lincoln Papers at the Library of Congress. Transcribed and Annotated by the Lincoln Studies Center, Knox College. Galesburg, Illinois. (Letter from Simon Cameron to Abraham Lincoln, November 1, 1864). Abraham Lincoln Papers at the Library of Congress. Transcribed and Annotated by the Lincoln Studies Center, Knox College. Galesburg, Illinois. (Letter from Simon Cameron to Abraham Lincoln, November 8, 1864).